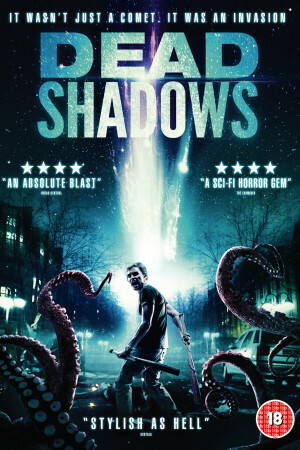 Dead Shadows tells the horrifying story of Chris (Fabian Wolfram) and John’s fight for survival when a passing comet turns his neighbours into rampaging mutants. Eleven years ago, Halley’s Comet lit up the night sky and Chris’s parents were killed. Eleven years later, another comet passes the Earth and traumatized Chris discovers the other tenants in his apartment building are beginning to change. They are becoming violent and mutating into something from beyond this world. In one terrible night, chaos starts to set in. Together with his trigger-happy neighbor, John Fallon, Chris races to escape escape 6 floors of horror in order to stop the Black Gate from opening, causing the end of days.